Are you afraid of gaining the notorious “Freshman 15” during your first year of college? If so, you are not alone, because thousands of other freshmen are in the same position as you! There is both good and bad news. Avoiding the “Freshman 15” may be easier than most students think. The idea of gaining the full 15 pounds is an exaggeration and is not as common among college freshmen as we are led to believe. However, avoiding smaller amounts of weight gain tends to be challenging for many college freshmen. The lifestyle transition for freshmen creates the perfect opportunity to pack on the unwanted pounds, and making changes to your everyday eating and exercise habits can be inconvenient during the strenuous schedule of the school year (1). Although it is uncommon for incoming freshmen to gain 15 pounds throughout their first year of college, studies show that weight gain is a prevalent theme throughout college for these students. A meta-analysis study (results of multiple scientific studies) shows that 60.9% of students experience weight gain during their freshman year of college. Of the 60.9% of students who did gain weight during their freshman year, it was a surprising 7.5 lbs (3.38 kg). Only 9.3% of first year university students actually acquired the well-known “Freshman 15”. Contrary to the belief, men are not more susceptible to the “Freshman 15” than women, as there was no significant gender difference found in the analysis. While this shows that the “Freshman 15” isn’t as prevalent as some thought, it does show that the minute a student signs up for their freshman classes they are also unknowingly signing up for a couple extra pounds. This can be seen in a study that was conducted close to home for Franklin Pierce students. Why is it so easy to gain weight during your freshman year? What can you do about it? These questions are frequently asked by incoming first-year students. There’s no single answer to these questions, but a mixture of lifestyle changes can make the perfect opportunity for your body to add weight. Compared to the general population, college freshmen have a much higher rate of weight gain. An increase in stress, availability of junk food, alcohol consumption, and a decrease in physical activity are just some parts to the equation of gaining weight. Many colleges offer buffet-style eating, with tons of high caloric food options and drinks with high fructose syrup, tempting each student. Copious amounts of homework can stress students out, not giving them enough time or energy to maintain the amount of exercise they did before college. A mix of the dramatic lifestyle changes in college can lead to easy weight gain that can creep up on even the most health conscious college students. While the “Freshman 15” may be more avoidable than previously thought, first year university students are destined for weight gain. Although the college lifestyle, which many freshmen are not accustomed to, may be perfect for gaining weight, being conscious about what you are putting into your body, and staying active are keys to staying fit. Gaining weight can be very easy for a college freshman, but it doesn’t have to be. (1) Claudia Vadeboncoeur*, Nicholas Townsend and Charlie Foster. “A meta-analysis of weight gain in first year university students: is freshman 15”. BMC Obesity (2015). Accessed October 1st, 2017. (2) Daniel P. Champigny. “Factors Conductive to Weight Gain in College Freshman”. Senior Thesis. Franklin Pierce University. (2013) Accessed October 6th, 2017. Cole Dorman is a freshman at Franklin Pierce University. He is a Health Sciences major with intentions of a pathway to Physical Therapy. 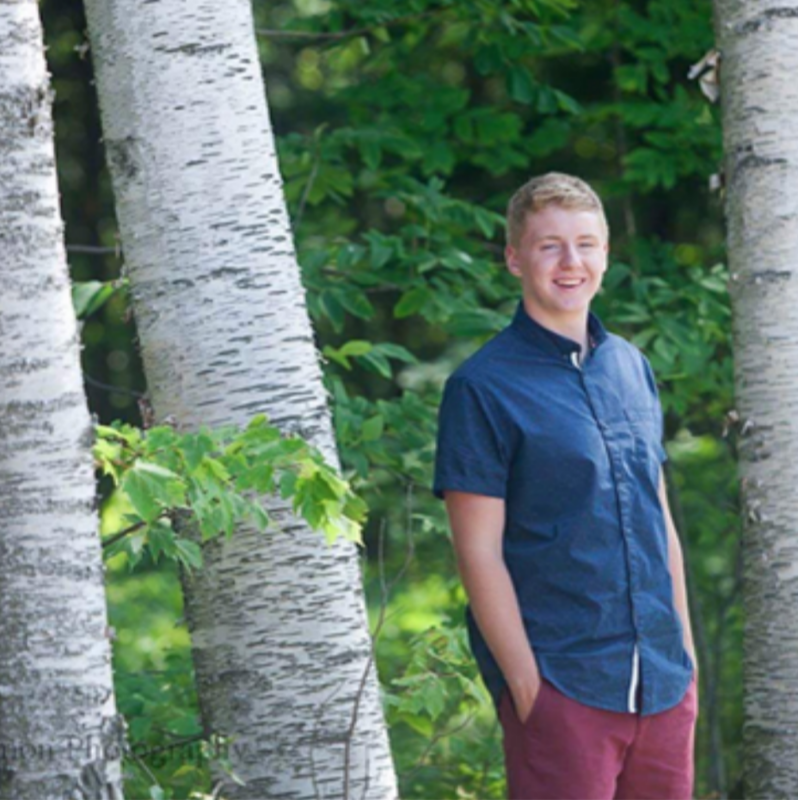 Cole is from Farmington, Maine and enjoys playing and watching sports, along with fishing and hanging out with friends.